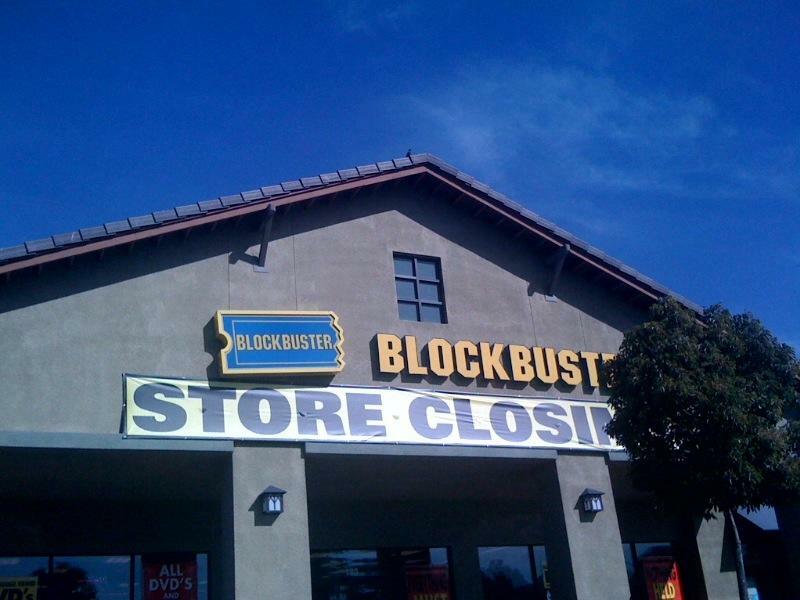 Dish Network has announced today that the end of the road has finally arrived for the Blockbuster Video chain, and it will be closing the remaining 300 stores. Blockbuster has been struggling to keep itself afloat for years now, but it appears that the time has finally come to close the remaining doors. Dish Network, which purchased the struggling chain in 2011, has tried many different avenues to return the company to profitability such as selling off its kiosks to Redbox, shuttering 500 stores in 2012 and then another 300 in 2013, it has made a real go at trying to turn the brand around, but it just wasn't working. The plan announced today will see the DVD By Mail service closing down by no later than the early part of Jan. 2014, and the remaining 300 corporate stores will close by the middle of January. Franchised and licensed stores will remain open, of which there are 50 in the U.S., and 400 abroad. Despite this announcement, the brand will not be completely killed off, and it will continue to be used with the streaming services that are currently offered. "This is not an easy decision, yet consumer demand is clearly moving to digital distribution of video entertainment," said Joseph P. Clayton, DISH president and chief executive officer. "Despite our closing of the physical distribution elements of the business, we continue to see value in the Blockbuster brand, and we expect to leverage that brand as we continue to expand our digital offerings." No matter how you look at it, this is definitely the end of an era in the world of home entertainment. Update: An earlier version of this story did not include information on many licensed and franchised stores would remain. Dish Network has since provided us with those numbers and they were added. "This is not an easy decision, yet consumer demand is clearly moving to digital distribution of video entertainment," said Joseph P. Clayton, DISH president and chief executive officer. "Despite our closing of the physical distribution elements of the business, we continue to see value in the Blockbuster brand, and we expect to leverage that brand as we continue to expand our digital offerings." Over the past 18 months, Blockbuster has divested itself of assets in the United States, as well international assets, including operations in the United Kingdom and Scandinavia. DISH will continue to support Blockbuster's domestic and international franchise operations, relationships and agreements. DISH will retain licensing rights to the Blockbuster brand, and key assets, including the company's significant video library. DISH will focus on delivering the Blockbuster @Home service to DISH customers, and on its transactional streaming service for the general market, Blockbuster On Demand. The Blockbuster @Home service offers over 15 movie channels including STARZ(R) Cinema, EPIX(R), Sony Movie Channel, and Hallmark Movie Channel, plus over 20,000 movies and TV shows streamed to TVs, computers or iPads(R). The service includes access to the Blockbuster @Home 'app' currently available to the millions of TVs served by DISH's Hopper(R) Whole-Home HD DVR set-top box.